Home Alone (1990) is one of the greatest Christmas movies of all time, and with the festive holiday being just weeks away, we thought it was time to get everyone in the Christmas spirit. 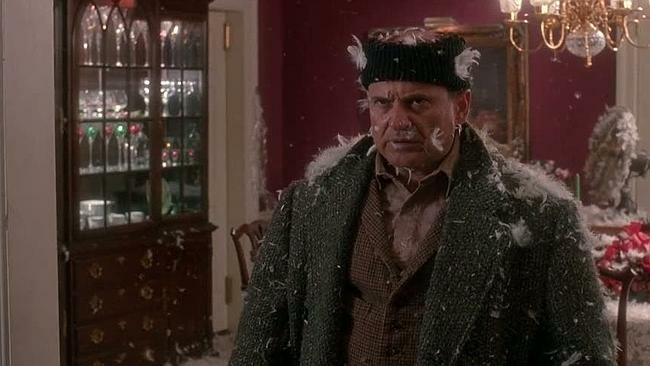 So, here are 10 Home Alone facts that will leave you thirsty for more. Keep the change, you filthy animal! The idea for Home Alone emerged from the film Uncle Buck in the scene where Macaulay Culkin interrogates the babysitter through the mail slot. 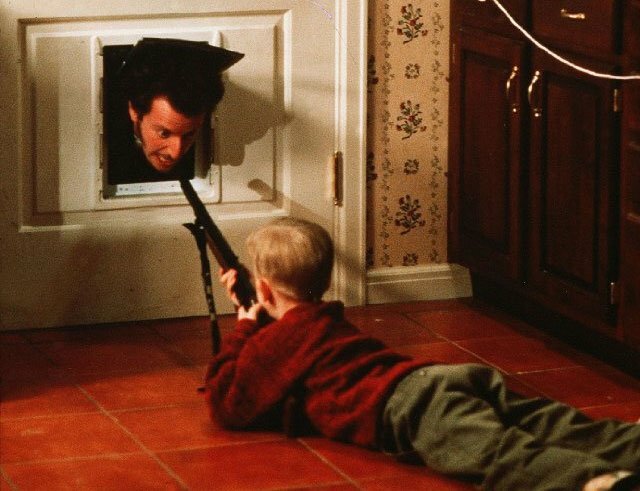 The scene was recreated in Home Alone but with the burglar. 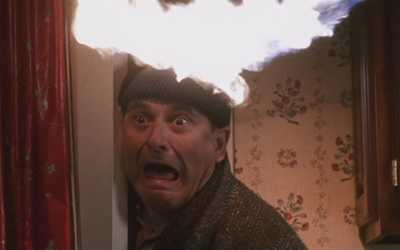 Joe Pesci regularly forgot that Home Alone was a family movie and would drop the F-bomb in many of his character’s angry out-bursts. The director told him to use the word “fridge” for the PG friendly movie. You can also hear Marv say the S-word when he is retrieving his boot from the doggy door. Skip to 55:27 on the DVD to hear it. 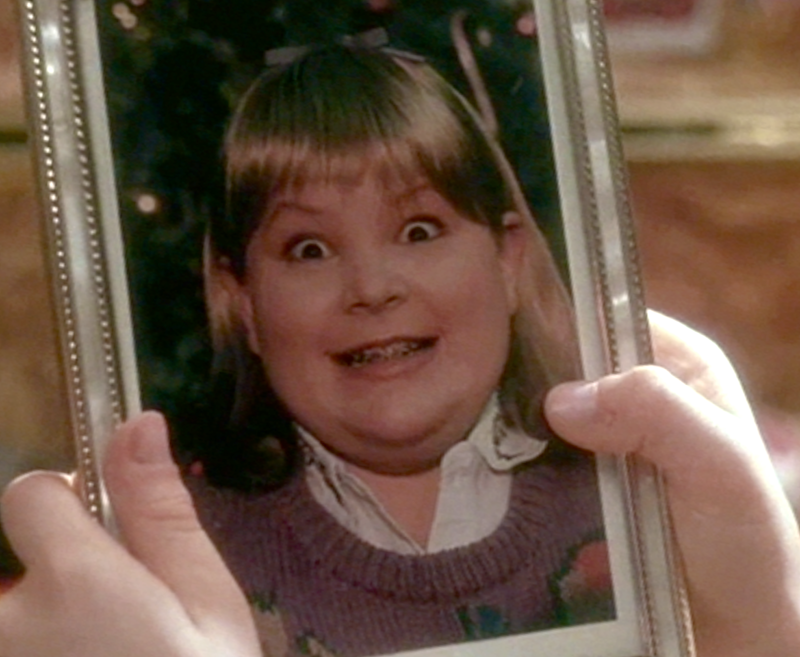 Buzz’s girlfriend isn’t actually a girl at all. She is the director’s son dressed up as a girl. Chris Columbus didn’t want to use a real girl’s photo as he believed it would be a cruel thing to do to a teenager. 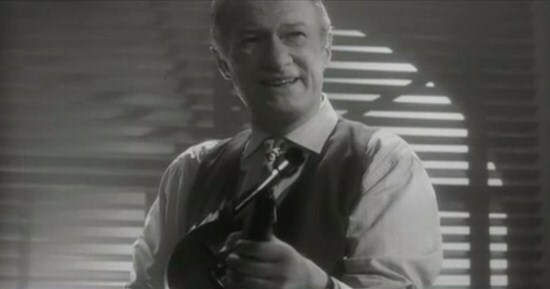 The line “you guys give up, or are you thirsty for more?” was improvised by Macaulay Culkin, and it is now one of the most popular pieces of dialogue from the film. 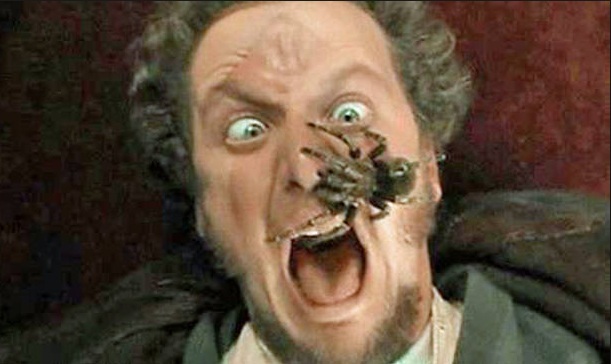 Daniel Stern, who played Marv, couldn’t actually scream in the scene where the tarantula is on his face, as it would have spooked the spider. He therefore had to mime the rather girly scream, with the sound being dubbed in later. He also only agreed to have the spider on his face for one take. 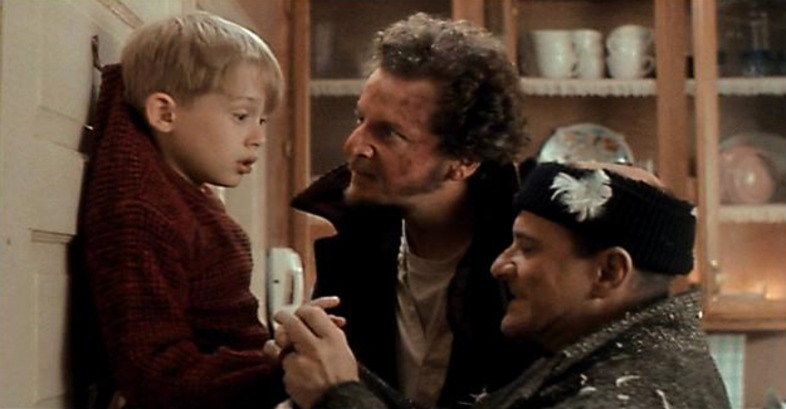 How can we forget the scene where Harry, one half of the Wet Bandits, threatens to bite Kevin’s fingers off one at a time. Macaulay Culkin revealed years later that Joe Pesci did actually bit his fingers during the scene – by accident, of course. He also recently discovered that the bite mark left a permanent scar. Angels with Filthy Souls is a fictional gangster movie that was made specifically for Home Alone. You can also catch the movie sequel, Angels with Even Filthier Souls, in Home Alone 2. It was inspired by the James Cagney film, Angels with Dirty Faces. 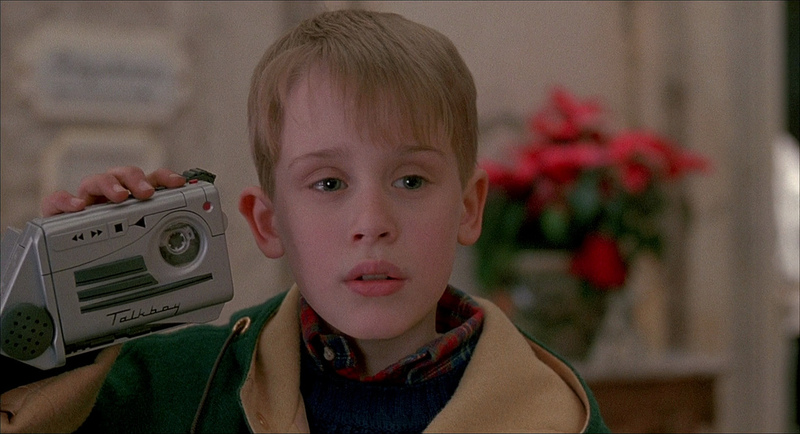 The Talkboy would never have existed without Home Alone, as it was used as a non-working prop. It was made into a retail version in 1993 following a massive letter-writing campaign from young fans. 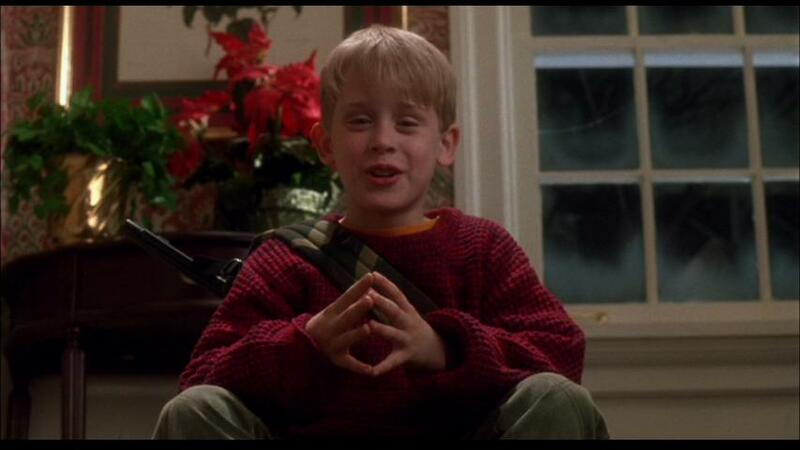 The Christmas ornaments Marv steps on were made from candy, and the map Kevin uses was actually drawn by Macaulay Culkin. Also, if you look closely, you will see Kevin’s plane ticket in the trash can when Peter McCallister cleans the kitchen counter. You cannot help but place your hands over your eyes when Marv places his barefoot on the nail and tar on the booby-trapped stairs. Luckily, Daniel Stern wore rubber feet for protection! Joe Pesci deliberately avoided Macaulay Culkin on set so the young actor believed he was really mean. We have tons of movie facts to read here at The List Love, so why not take a look at 10 Love Actually Facts to Fill Your Heart.